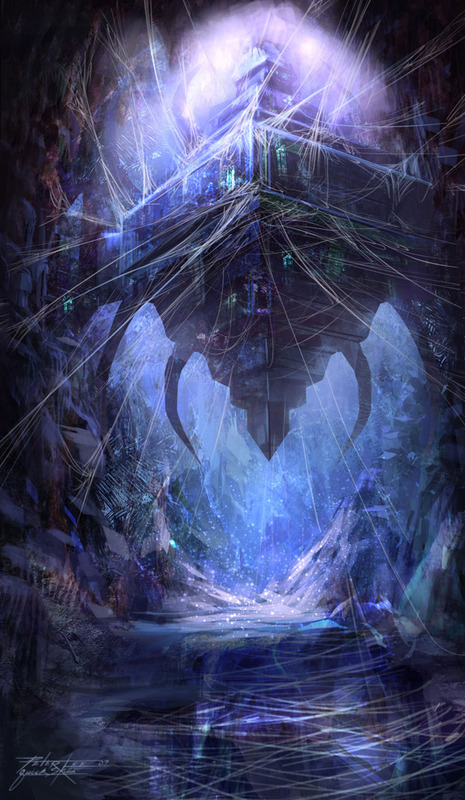 "The strands of destiny weave only a web of death." 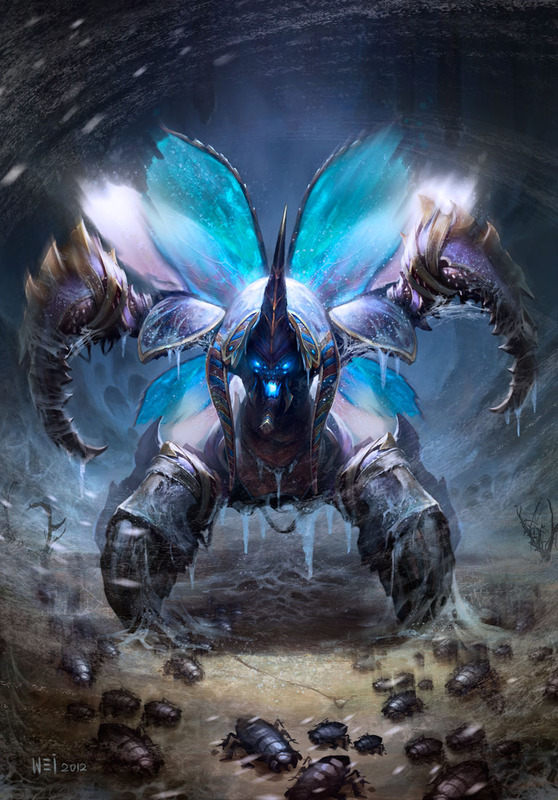 Once a proud nerubian king, Anub'arak dared to stand against the Lich King's invasion, but despite his bravery, he too fell to the unrelenting Scourge. Resurrected into undeath, the Traitor King now serves as a towering weapon of destruction. But here in the Nexus, no one commands his power! 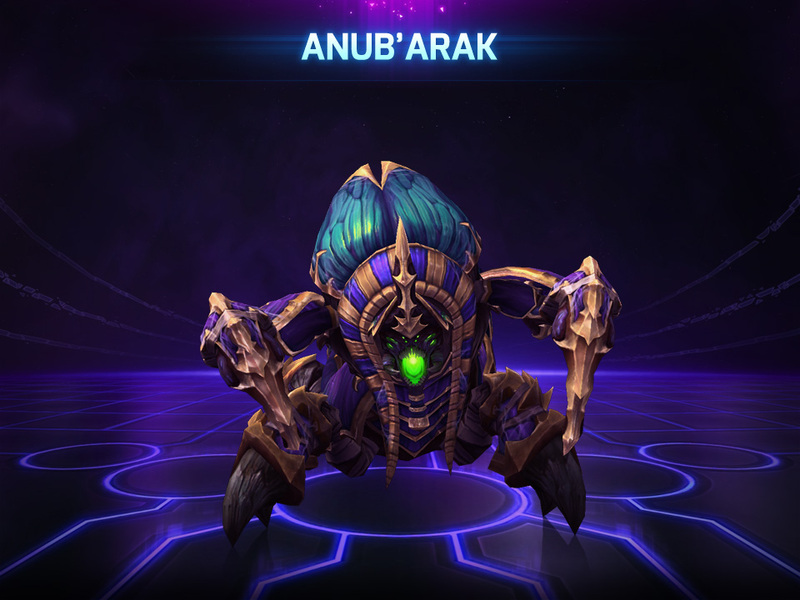 The fearsome Anub’arak hails from the Warcraft universe, and in Heroes of the Storm, he takes on the role of an in-the-fray melee Warrior who excels at initiating fights and forcing engagements. 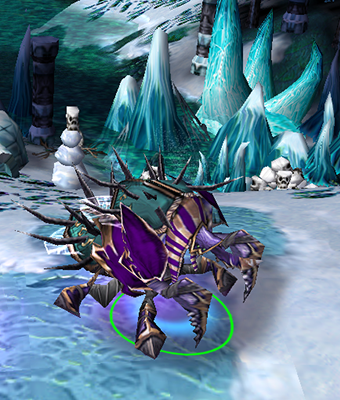 This powerful nerubian is definitely an ally that you want by your side as you seek to conquer the Nexus! 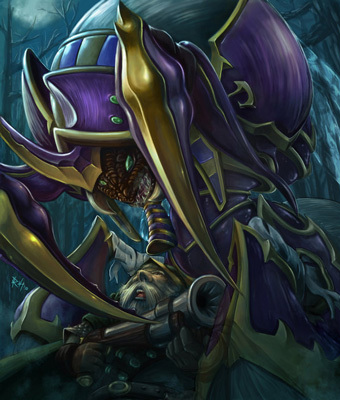 For an even more in-depth look into this iconic Warcraft Hero and his abilities, make sure to check out Anub'arak’s Hero Page! “Burrowing Charge” [E] can be activated a second time to force Anub’arak to pop up from underground. Use the maneuver to knock up unsuspecting enemies. “Impale” [Q] is a long ranged knock up. Use it aggressively to delay opponents from grabbing a tribute on Cursed Hollow, or to initiate a team fight. "I'll consume the living and the dead." Anub’arak’s starting skin in Heroes of the Storm ensures that you’ll be looking your best as you take revenge upon Arthas, and lay waste to all who oppose you in the Nexus! 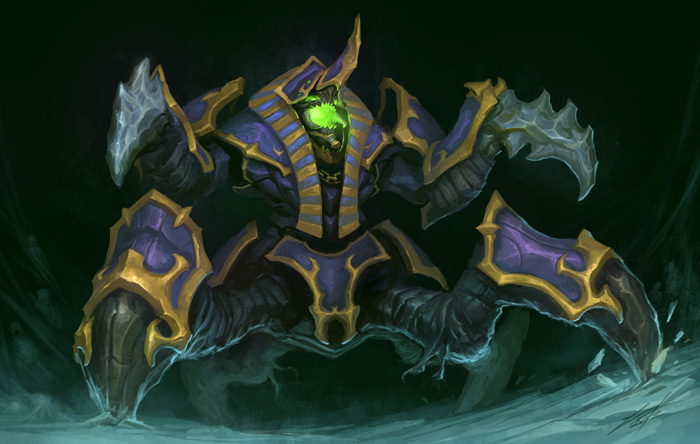 The history we know has been reimagined in Anub’arak’s newest alternative skin. This technological powerhouse has been carefully constructed to withstand the fearsome blows from the likes of Kaijo Diablo! Cyb’arak Anub’arak - The Defense mecha Cyb'arak designed by Frozen Throne technologies has proven instrumental in the defense of the African continent against the Kaijo monsters. 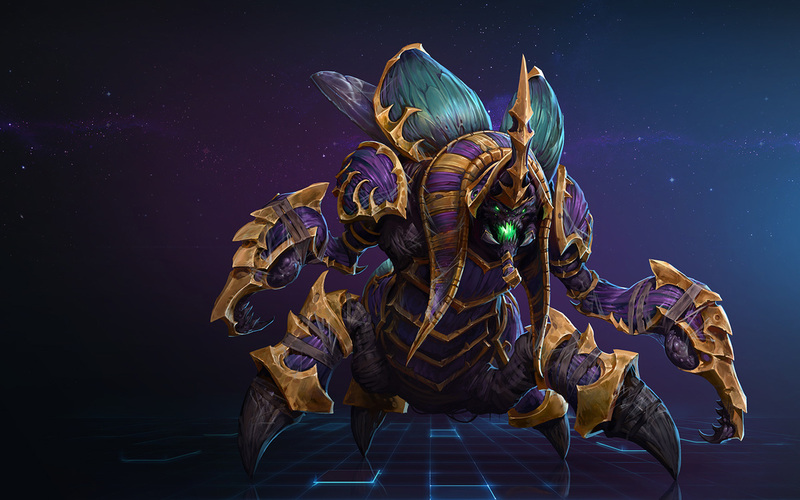 Eager to show off your prowess with Anub’arak in-game? Once you reach Level 10, you’ll be able to purchase Anub’arak’s Master Skin with Gold and take your rightful place as King of the Nexus! 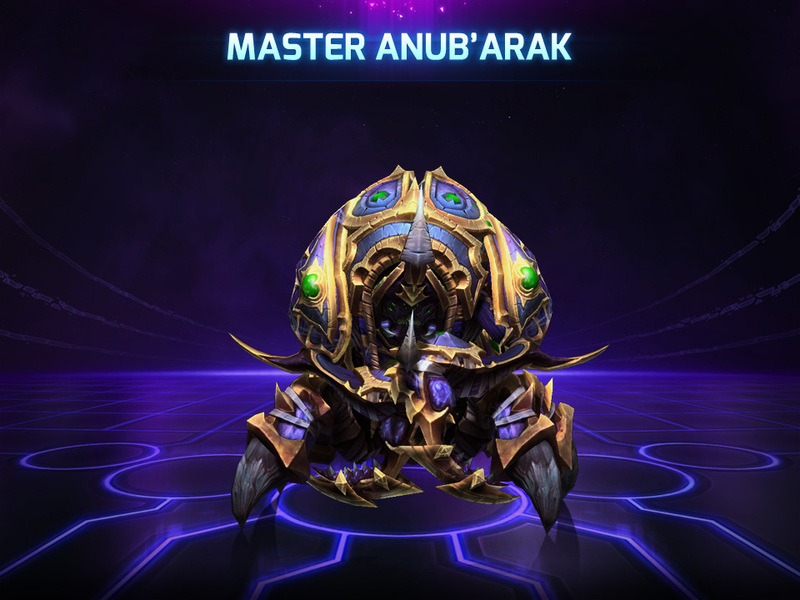 Master Anub’arak - A Spider Lord's carapace has been known to deflect blades, arrows, and even siege weaponry all on its own. When fitted with armor, it is all but unstoppable. "My might cannot be matched." 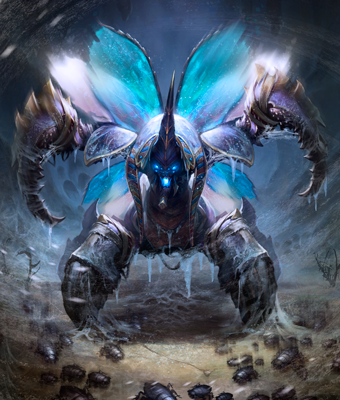 Anub’arak first appeared in 2003 with the release of Warcraft III: The Frozen Throne. 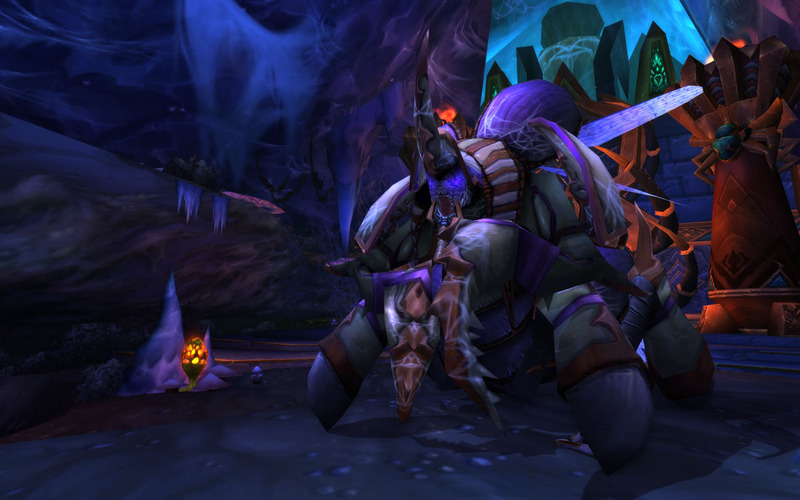 Anub'arak was the king of the nerubians when the Lich King arrived in Northrend. 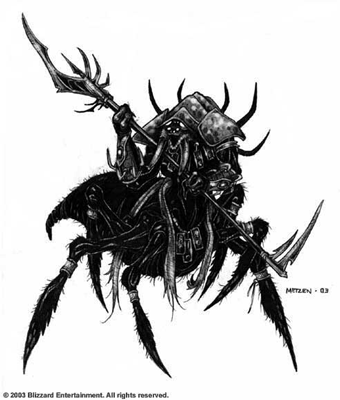 The War of the Spider pitted the nerubians against the Lich King’s forces, and while the nerubians were strong and cunning, the Lich King's minions were endless. 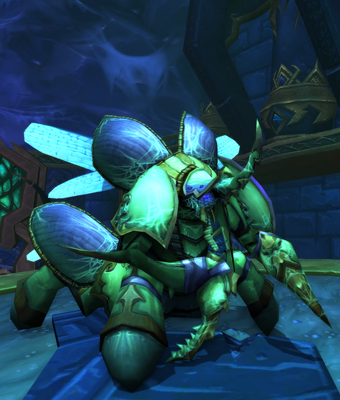 Anub'arak fell in the War of the Spider and was revived by the Lich King to lead the attack on the nerubians. 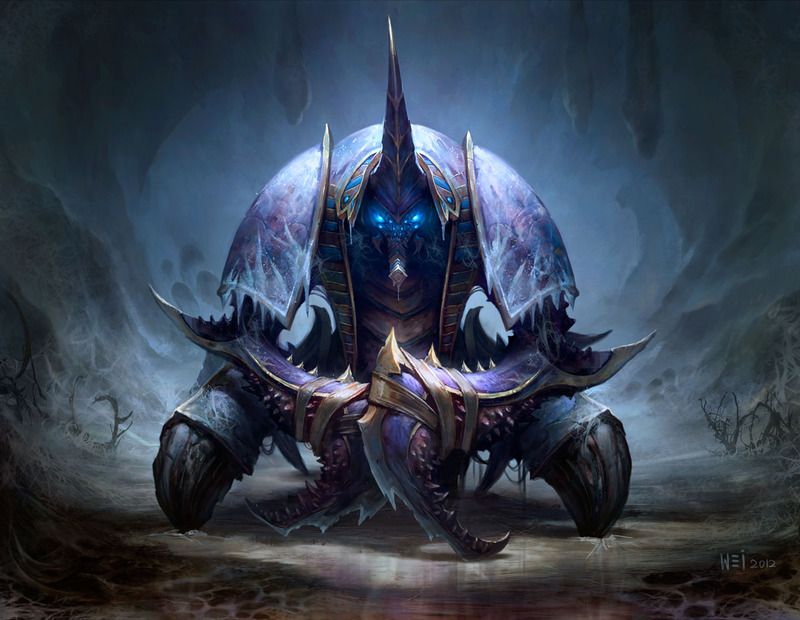 He crushed anything that posed a resistance to the Lich King's will and slaughtered many of his people. 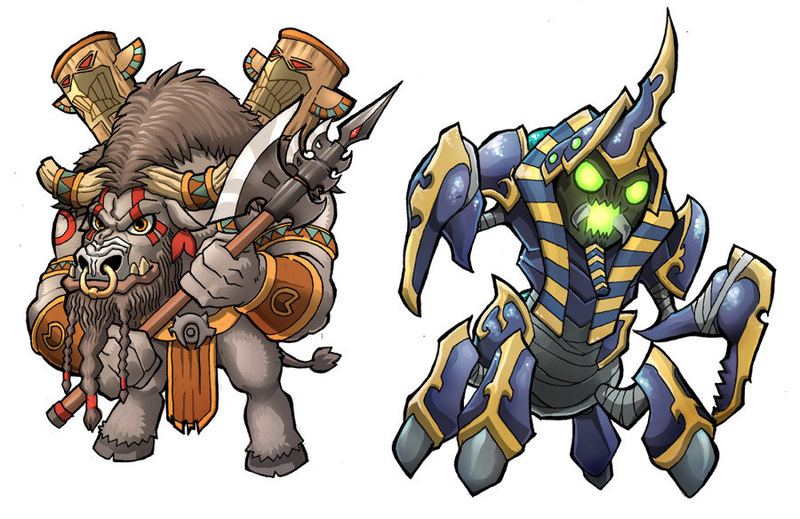 Anub'arak led the undead as they conquered the nerubian ziggurats and repurposed them for the Lich King's designs. For this, the living nerubians began to refer to him as the traitor king. 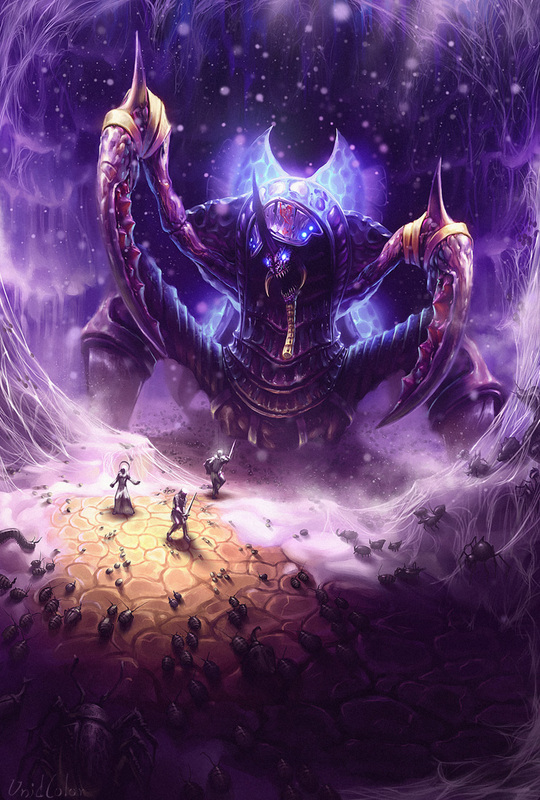 When Kel'Thuzad was tempted by the Lich King to travel to Naxxramas, Anub'arak greeted him there and showed the necromancer the extent of the Lich King's power. 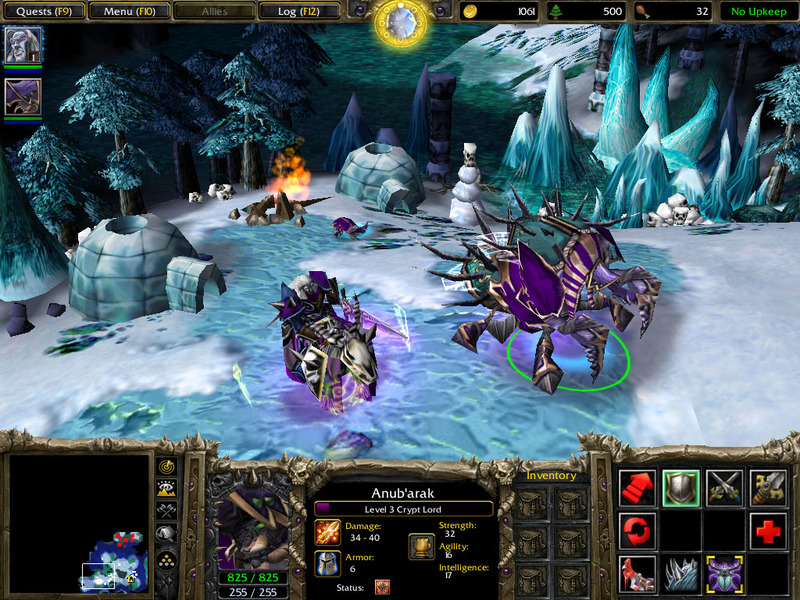 Arthas came to power as the Lich King's champion. 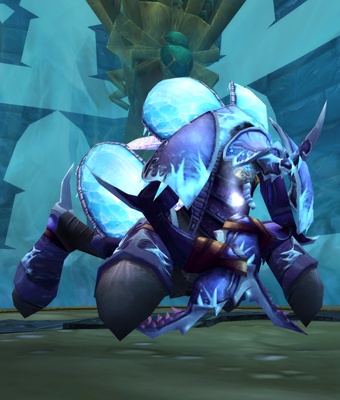 After the defeat of the Burning Legion, the Legion set agents to attack the Frozen Throne and Arthas was called to Northrend to defend his master. 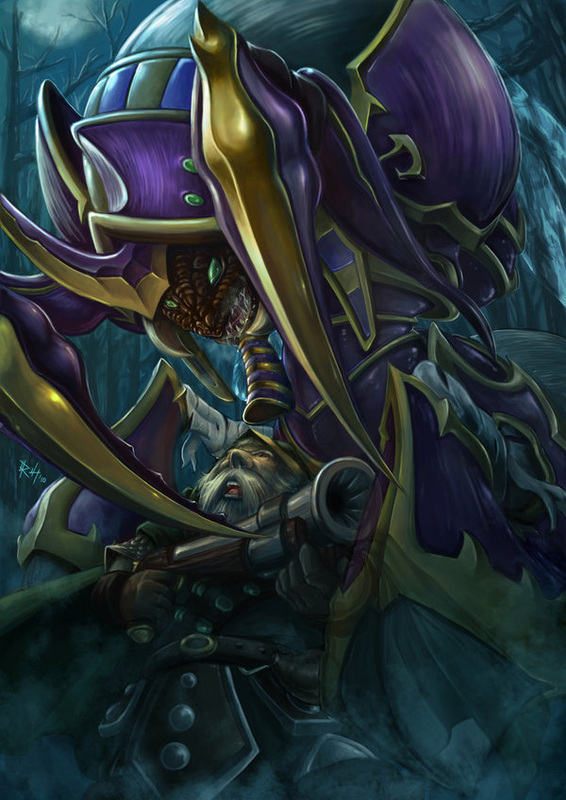 As Arthas tried to fend off attacks from Illidan's forces, which included the blood elves and the naga, Anub'arak arrived with his undead nerubians to aid Arthas. 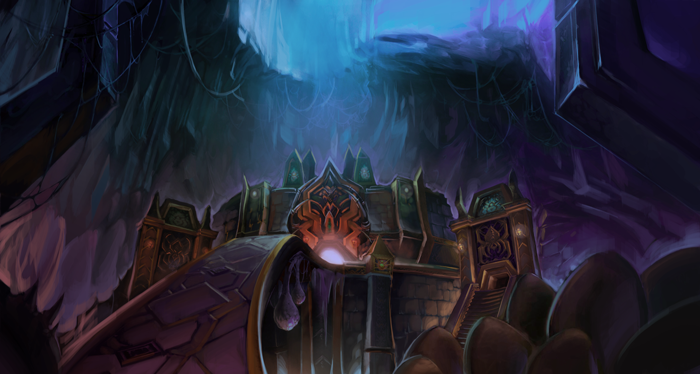 When Illidan's forces barred their way to the Frozen Throne, Anub'arak lead Arthas through the dangerous passages of Azjol-Nerub fighting through dwarf survivors from Muradin's expedition, remaining pockets of living nerubians and the deadly traps they had built, and the ancient ones and the forgotten one that lived below. 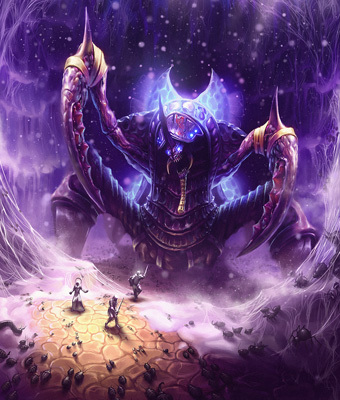 Despite the dangers, Anub'arak delivered Arthas to Icecrown in time to thwart Illidan's attack, allowing Arthas to ascend the Frozen Throne and merge with the Lich King. 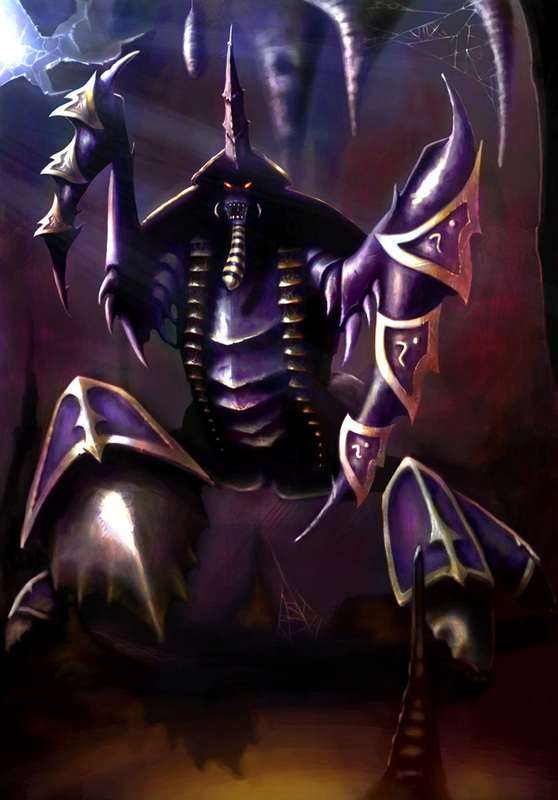 One of Anub’arak’s his most loyal commanders was Anub'Rekhan, who was later raised by the Lich King to do his bidding in the Arachnid Quarter in Naxxramas. 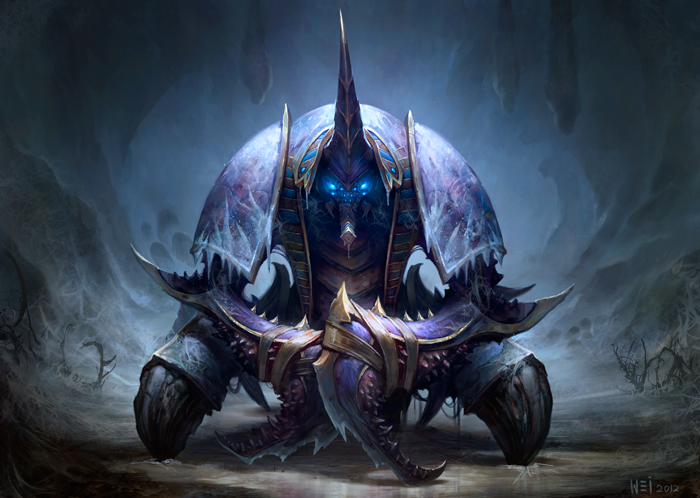 Like the Lich King, Anub'arak was mostly quiet until the attacks from Northrend that announced the Wrath of the Lich King. When the Horde and Alliance arrived in Northrend, Anub'arak was waiting patiently in Azjol-Nerub. 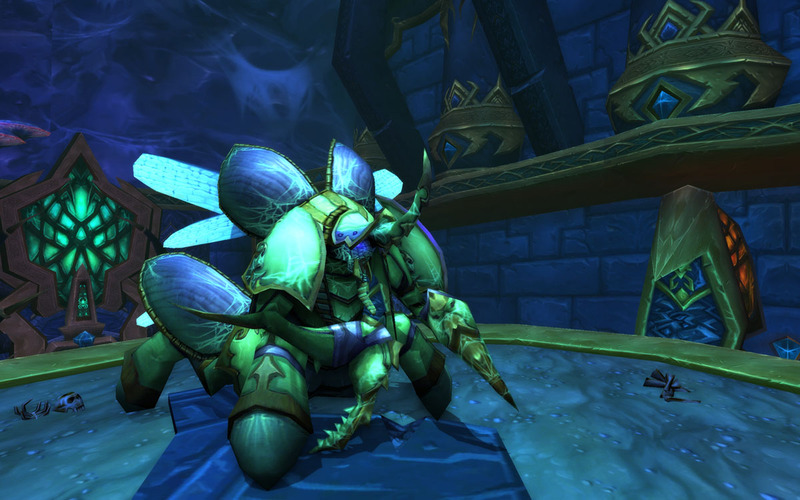 In World of Warcraft: Wrath of the Lich King, Anub'arak is the final boss of the Azjol-Nerub five-man dungeon. 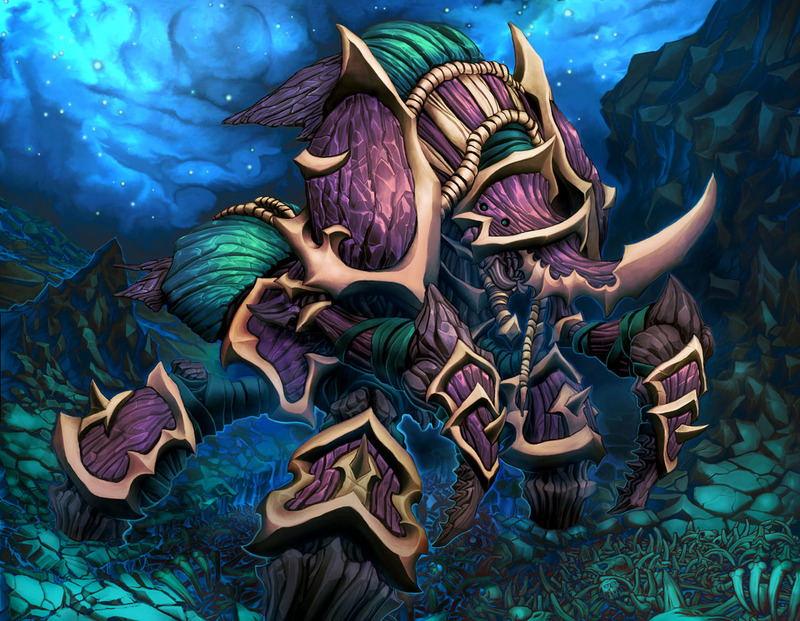 Living nerubians have called for Anub’arak’s death. 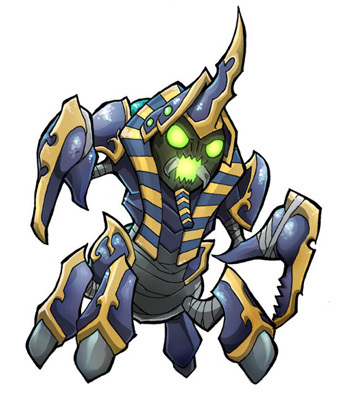 The Lich King later raised Anub'arak to serve as his champion once again. He was sent to plague the Argent Tournament, and when the Lich King interrupted the Trial of the Crusader, he cast the champions down to the icy depths of Azjol-Nerub, a nerubian cavern directly below where the Crusader's Coliseum was built. 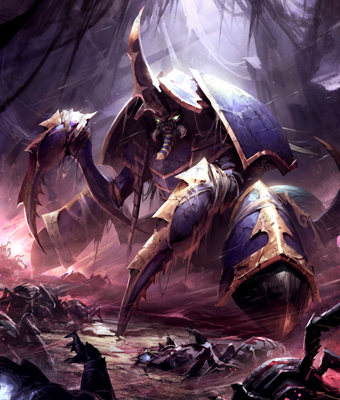 Anub’arak served as the final encounter during the Trials of the Crusader and the Trials of the Grand Crusader. 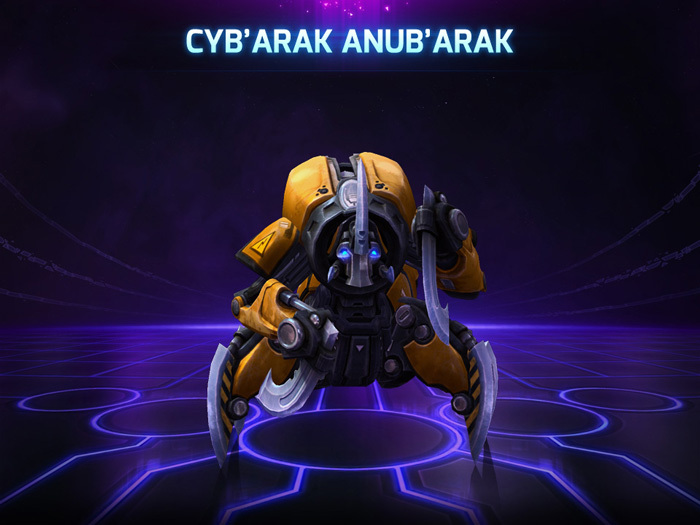 Anub'arak: "The nerubian race, yes. Then the master came. As his influence spread, we made war upon him, foolishly believing we stood a chance. Many of us were slain and raised into undeath. In life I was a king. 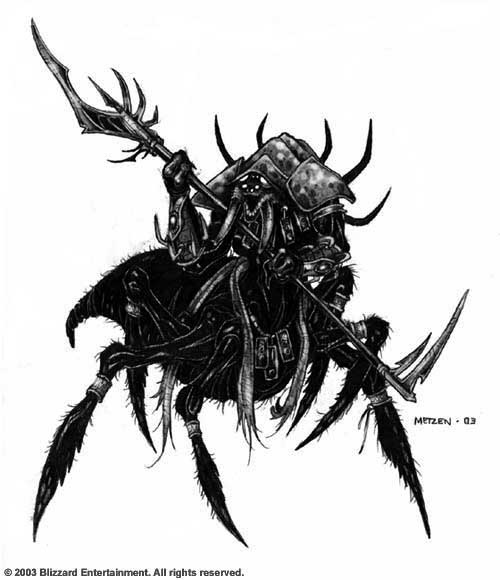 Today I am a crypt lord." 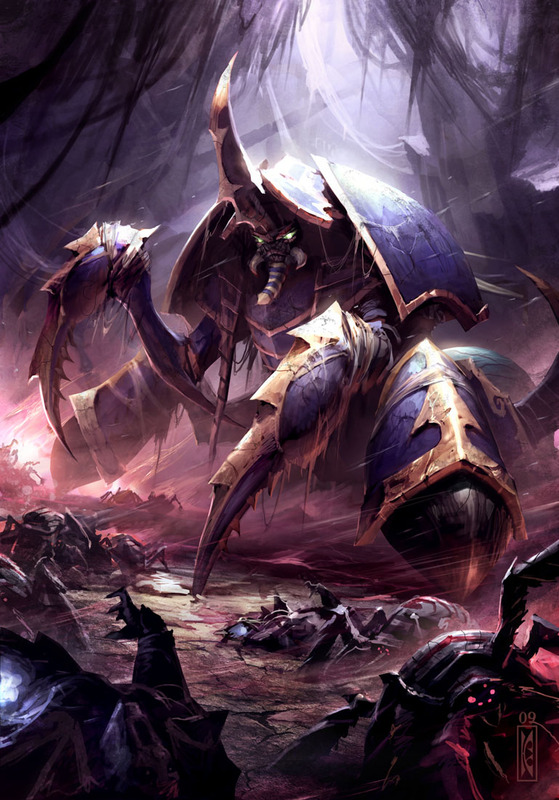 Kel'Thuzad: "In return for immortality, you agreed to serve him," Kel'Thuzad mused aloud. "Remarkable." 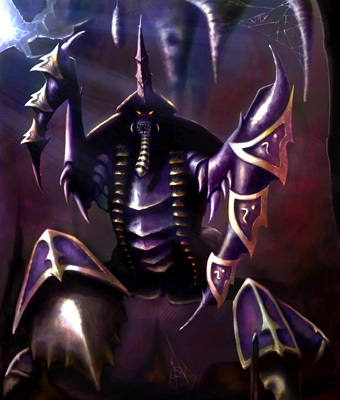 Since the first appearance of Anub’arak in Warcraft III: The Frozen Throne, many talented artists have illustrated him and his nerubian brethren. 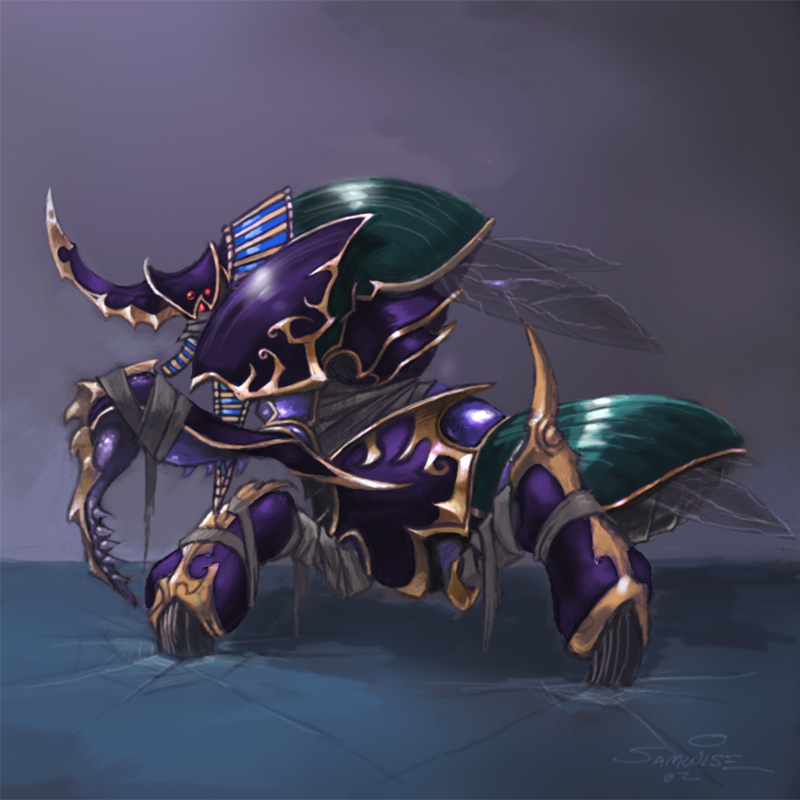 Below are five fantastic pieces of fan art featuring Anub’arak and other fierce nerubians, which were submitted by talented artists from around the world. 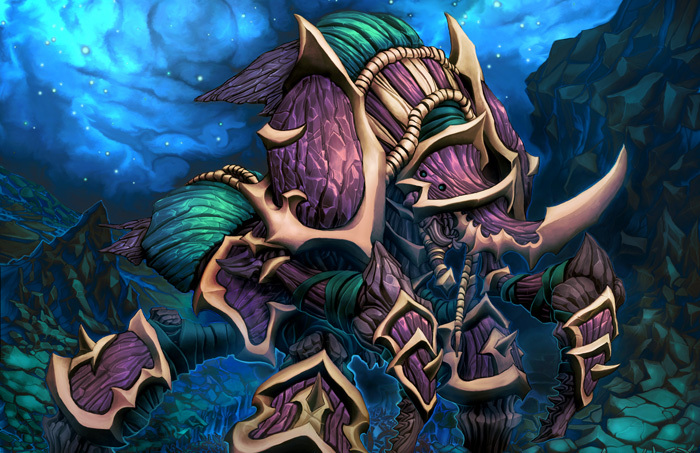 Anub’arak’s legacy has left a profound mark on the Warcraft universe. 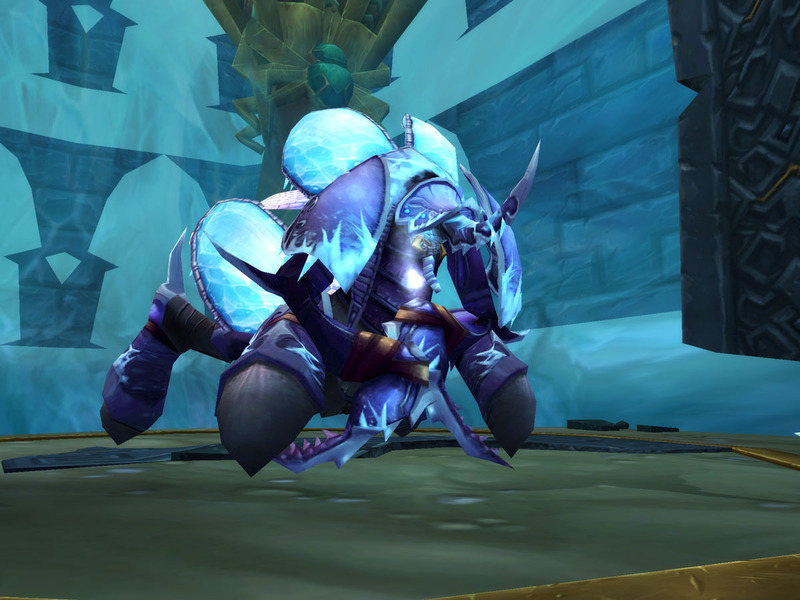 Had he not been forced to aid the Lich King, it is unclear how Azeroth’s history might have unfolded. "Anub’araknophobia. Yeah. It’s a thing." 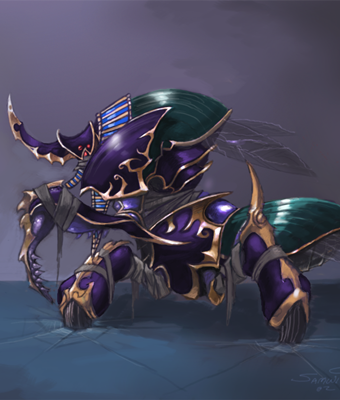 We hope you’re enjoying our fearsome Anub’arak Hero Week! 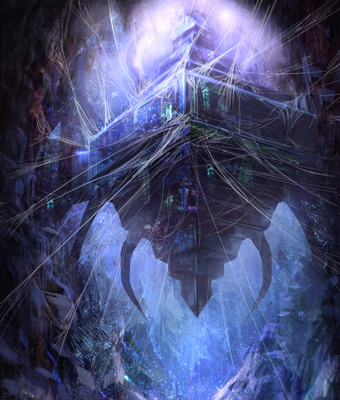 What’s been your favorite part so far, and what else are you looking forward to learning about this regal nerubian? Let us know in the comments below!